The majority of damaged iPads that we receive are cracked screens as a result of dropping the device. Securing the iPad in a case at all times will greatly increase the odds of not damaging the device if dropped. Further, we have provided a bubble lined envelope to add an additional layer of protection during transit. Any damage caused to an iPad not in a case will result in the student incurring the full cost of the repairs. 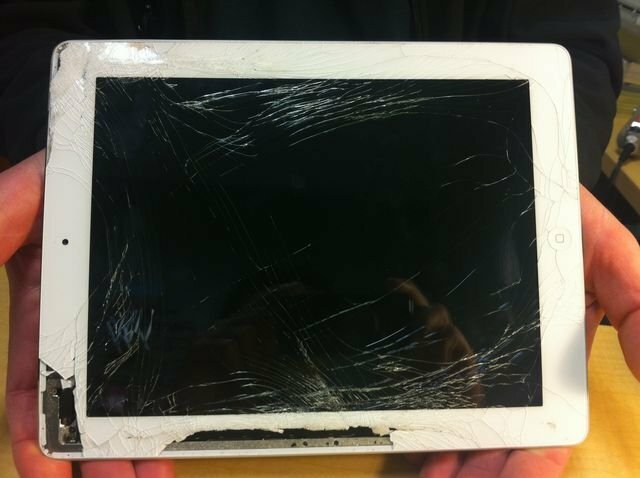 Students found with their iPads not in a case will be documented and may be fully responsible for any future damage. If the iPad is lost, stolen, or damaged beyond repair as a result of irresponsible behavior, the student may be held responsible for the full replacement cost of $374.00. Examples of irresponsible behaviors include, but are not limited to, intentionally damaging the device, jail breaking the device, leaving the device unattended, leaving the device in an unsecured area or unlocked vehicle. The student will be held responsible for the full replacement cost of the device should it be stolen, lost, or damaged as a result of these types of behavior. ** Student will be issued a loaner iPad while their device is repaired. Student pays a deductible and PTSC will cover the remaining cost of the repair.